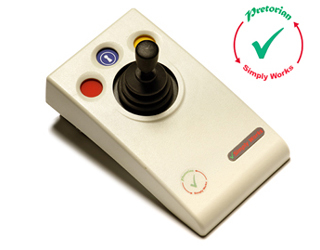 With an operating range in excess of 10 metres the SimplyWorks® Joystick is ideally suited for use in team/group sessions, or classroom settings, to ensure the participation of all. 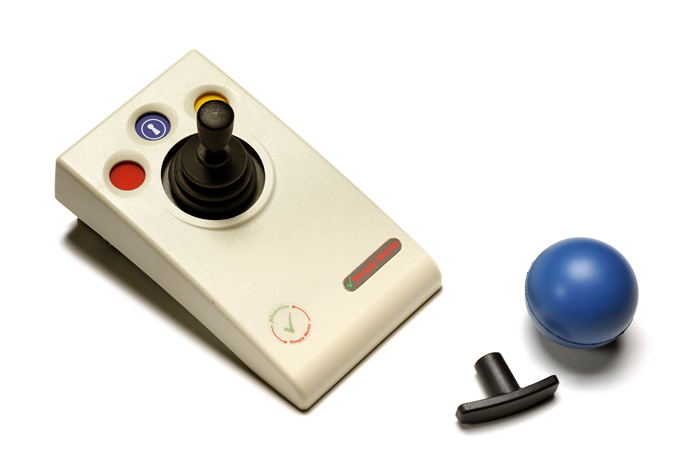 The SimplyWorks® Joystick is specifically designed for cursor movement to respond to the lightest touch (0.5 Newtons), making it one of the only wireless joysticks designed for accurate, cursor navigation and precise targeting of objects on the computer screen, for those with motor skill difficulties. 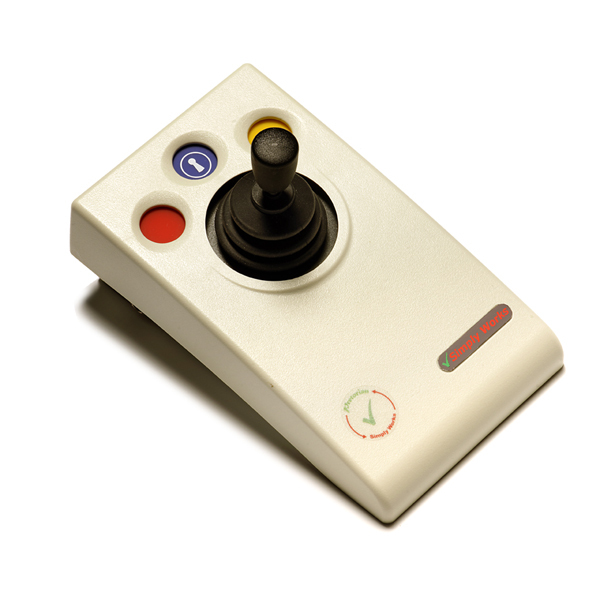 The SimplyWorks® Joystick also features colour coded Left/Right and Drag Lock buttons mounted sub-fulsh to prevent accidental operation. Works with any SImplyWorks® receiver for computer input or toy control. Light touch joystick movement (0.5 Newtons).